Happy to announce that upon leaving the UK we'll be heading to our home away from home for some craic and dark frothy pints. In April, we're partnering with Appalshop Inc. to represent central and east Kentucky music alongside our mentors, John Harrod and Nate Polly. We will be showcasing at the 2019 Brooklyn Folk Festival and will be celebrating the 50 years of community work Appalshop has done FOR the mountains and IN the mountains. They are champions of Kentucky and Appalachian people and projects and we are privileged to work alongside them with preservation and cultural exchange and diplomacy. Our set at BFF is Saturday April 6 (time TBA) on the Main Stage in Brooklyn, NY. Blues, old time string bands, jug bands, music from Italy, Colombia, and Mali, Western Swing, Trad Jazz, Bluegrass, Songwriters, Ragtime, Gospel + more! As always, we are honored to be cultural delegates with an organization of this caliber and graciously thank Tanya, Tommy, Caroline, and our Appalshop family. The FIRST square dance of 2019 is fast approaching and we won't even be here for it! We'll be at Kings Place in London, England for the first show of our biggest tour yet. BUT don't fret, Anna Kline + John M Looney (of Grits + Soul) have got it all together and ready to go. NO alcohol inside the barn please. Community square dances are EVERY 2nd FRIDAY of EVERY MONTH of the season. The DON'T BE A SQUARE community square dances will begin again on January 11, 2019. The dances will be held on the SECOND FRIDAY of EVERY MONTH at our favorite historic bluegrass music barn, Meadowgreen Appalachian Music Park in Clay City, KY. It's a rousing good time for the whole family. NO alcohol inside the barn, please. You'll be seeing some of these posters hanging 'round the Gorge but feel free to share this on your social media platform of choice and help spread the word. Happy dancing and warm wishes from your Honeys! Aside from the live show, there will be an Appalachian Artist Bazaar to support regional artists and those of us who procrastinate on our shopping till the last minute. Honeys MERCH is officially available online. We’ve teamed up with some of Kentucky’s finest visual artists to create unique musical treasures. Thank you, John Haywood, Scott Updike, Logan Miller, and Nathan Paul Isacc for lending us your talents, time, and support. This is for our fans far and wide who we don’t get to see as often as we’d like. As of now we’re only shipping within the US. Please note that all prices include shipping. What ya see is what ya get. 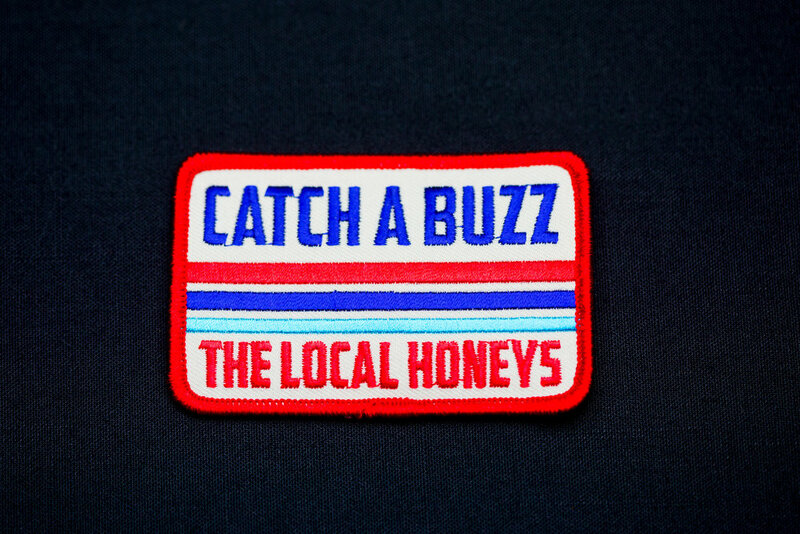 We have additional merch items that can only be picked up at live shows so come catch a buzz. We are honored to perform at the documentary screening of “The Ballad of Shirley Collins” on stage at the Appalshop Theater in Whitesburg, KY. We will be presenting a few of Collin’s song’s she has collected as well as our own before the premiere. The event will take place on Wednesday November 7, 2018 at 6:30 pm. This is event is free to the public. We’re looking forward to hosting “Don’t Be A Square” at Meadowgreen Appalachian Music Park in Clay City, KY. C’mon and swang your partner. No partner or experience required.